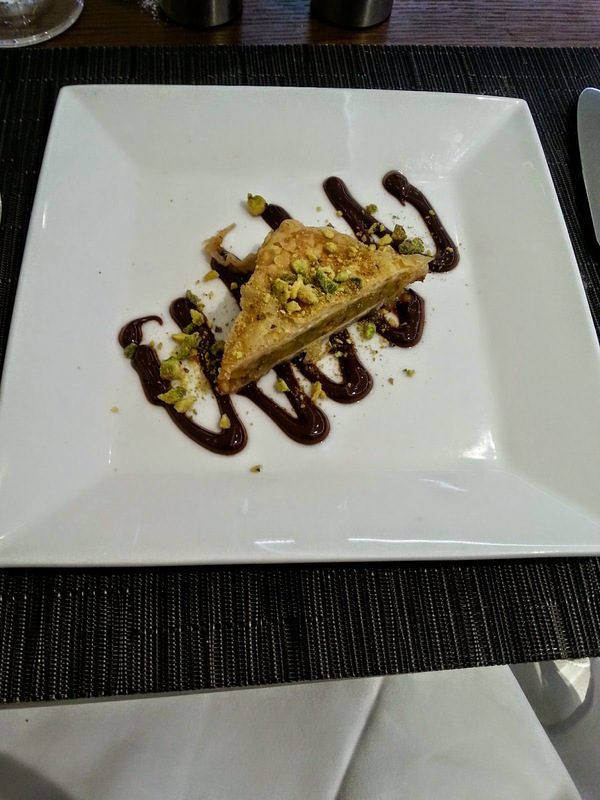 Flying from Washington DC to India on Etihad Airways | Happenings, Marketing and Technology Advice and Thoughts! Washington Dulles Airport DC (IAD) is a major hub for for flights to the Middle East and connecting to many asian countries including India. Qatar Airways, Etihad Airways, Emirates, all fly to Doha, Abu Dhabi and Dubai. United flies to Dubai, Kuwait and Bahrain. Saudia has a flight to Jeddah but I am not sure if that route is used much.. In the past few years I have traveled to India via the Middle East and reviewed United and Emirates airlines. 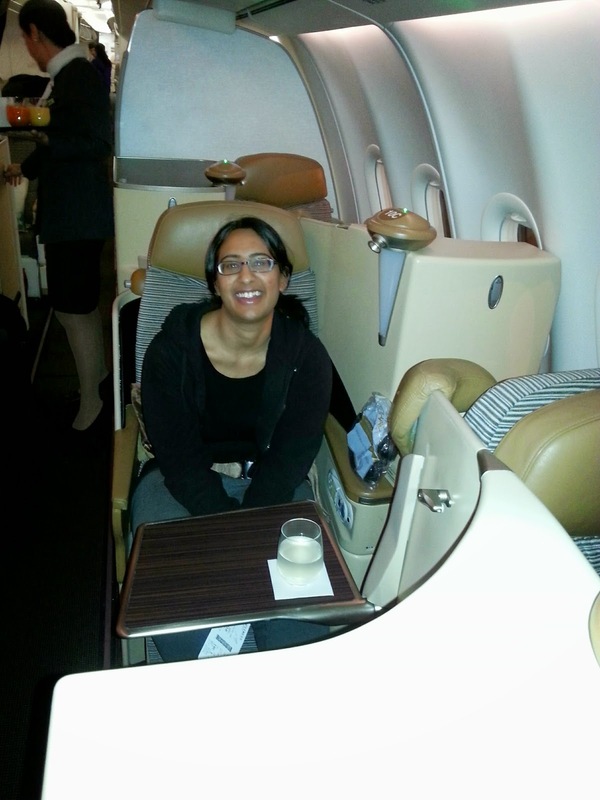 This was the first time I flew on Etihad even though I have been a member of their Guest program for over a decade. Here is my experience. This was a somber occasion and we needed to get tickets in a hurry. I used SkyScanner, Hipmunk to check flights and sent the best fare I found online to my travel agent Rommel Patel whom I have been using for over 10 years and have recommended to many of my friends. He is the best Travel agent for tickets to India, Africa and Europe. My wife and son got a good rate on Etihad and then the price for the 3rd ticket for my daughter was more expensive and by then all economy tickets were sold out. As we continue to research alternative routes to travel, I remembered that I had a Chase INK card with a lot of miles and lo behold I found a ticket where I could use the miles for the same flight my family was traveling and use my miles for half the Business Class fare on Etihad and pay the other half by cash. Etihad Chaffeur: All Etihad Diamond First Class and Pearl Business Class .customers get a great door to door travel experience that starts with a chauffeur driven Executive Car Service from home to the airport Since I was traveling with my family I asked the limo company for a larger car and paid the difference. A very nice Cadillac Escalade arrived at our door to take us to the airport. The limo company calls you 24 hours in advance and sets up the pickup time. Since we like to reach the airport early we chose a 6 p.m pickup time for a 9.50 p.m flight. Checkin: We were traveling on my daughter's birthday and the airport manager stopped by to wish her a very Happy Birthday. That was a great customer service moment and I am so glad that Etihad did so well. The airport check in counter saw that we had seats a bit apart and took the time to give us seats together. Eithad offers an Instant Airport upgrade and I believe the rate varies and on this day it was $1350 to upgrade or you could use the miles if you have them. Eithad Lounge Washington Dulles Airport. The Etihad lounge is located close to A16 where our flight EY130 was departing that day. You can choose from an a la carte menu or use the buffet for a light snack or dinner. Service was superb and attentive, they always were watching to see if you needed anything else. Starting touch of hospitality is a welcome offer of dates. I would give the lounge a 5 star. Since it was my daughter's birthday, we swapped seats and she traveled Business Class. In the new aircraft, Etihad has made changes to the business class and I think this A350-500 had the existing configuration. The best advantage I saw compared to my travel on Emirates is that Etihad Business Class has a fully flat bed. They have a nice amenity kit and cotton loungewear. I was however surprised that there was no turndown service and a mattress. On Emirates after dinner, they brought a mattress and sheets and made a nice bed. Neverthless, the service on Etihad was excellent and very friendly. The business class configuration makes sure all the seats have access to the aisle. If I were to choose again I would choose a window seat as that have more privacy and access to the Aisle. We were very impressed by the leg space in the seats on economy. 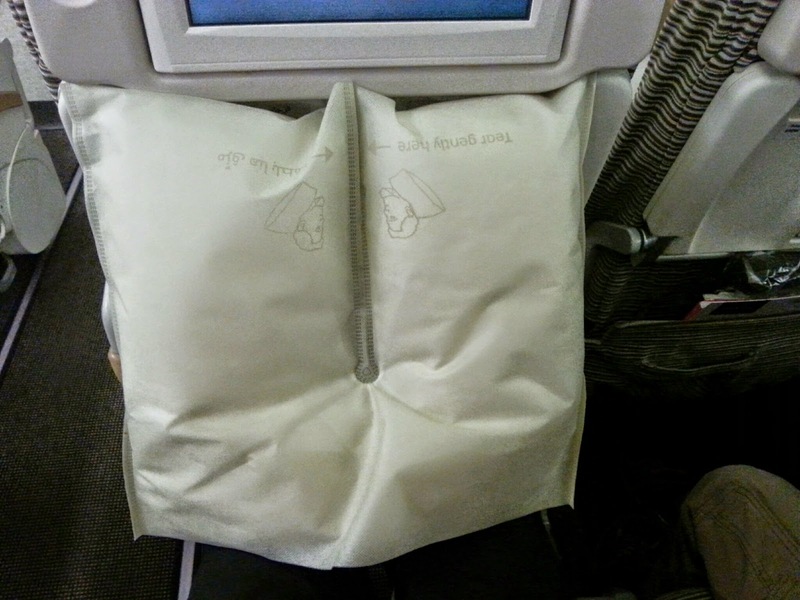 The pillow that can convert to a neck pillow was innovative. Food and service on board was great and very attentive crew. The flight had a lot of turbulence and so the crew had to stop service for a few minutes but it did not affect the Dinner and express dinner service. In between these two services you get ice cream, a sandwich and of course a lot of water service. I heard the call buttons for the crew go off too many times and I wonder if this can be changed by having galley stations with water and snacks that passengers could self serve. A small observation on the express menu is that both the appetizer and the main course were with chick peas. A small detail but having been a chef in qc previous life the repetition on the menu for the same meal could have been avoided. With so much of logistics to oversee, we really appreciated the crew's gesture in improvising a cheesecake to help us celebrate. Thank you Etihad. Abu Dhabi AAirp Loved seeing strollers that were for use aircraft side for passengers with small kids. This is a good amenity for airports. Be prepared to walk a lot if you are transferring. We had a very short transfer time so we could not use the Business class lounge. I heard that you can get a spa message or hair done. Be prepared for the long lines to form when the aircraft starts boarding due to the volume of passengers. Once on board you feel like you are in an excellent hotel with friendly crew and comfortable seats. I was thrilled to see them stock Victoria Bitter beer on this sector. I love this beer and have only had it on flights to Asia. 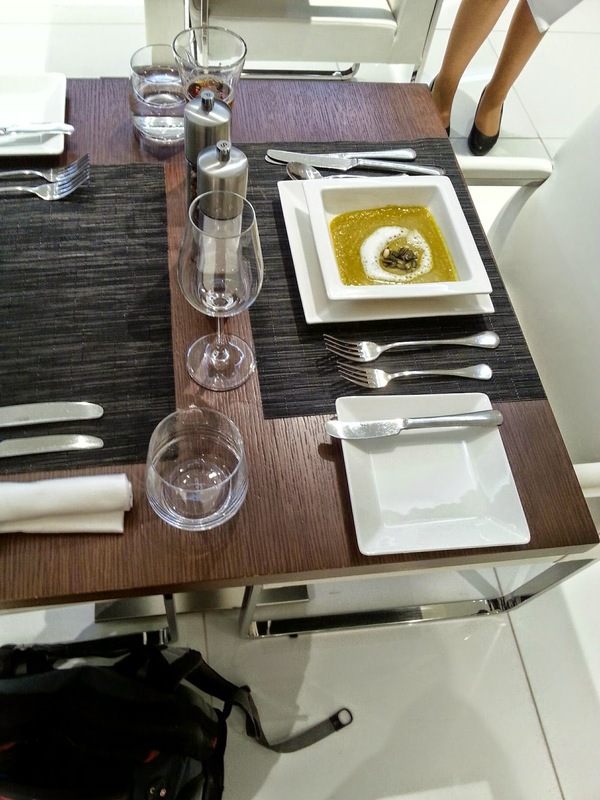 Service was great and food was fantastic again a good choice of meals in business class. Even though this was a short flight, I managed to get a little bit of shut eye in the extremely flat Business Class seats. To sum up no matter which class of travel you are in, the crew work very hard to make you comfortable. They seem to care about their aircraft and passengers. Landing in Hyderabad, we got a great ride home using the Etihad Chauffeur - Executive Car service adding a nice touch to the wonderful journey. I am looking forward to the return trip in a few days , the same way from Hyderabad to Abu Dhabi and then on to Washington DC. 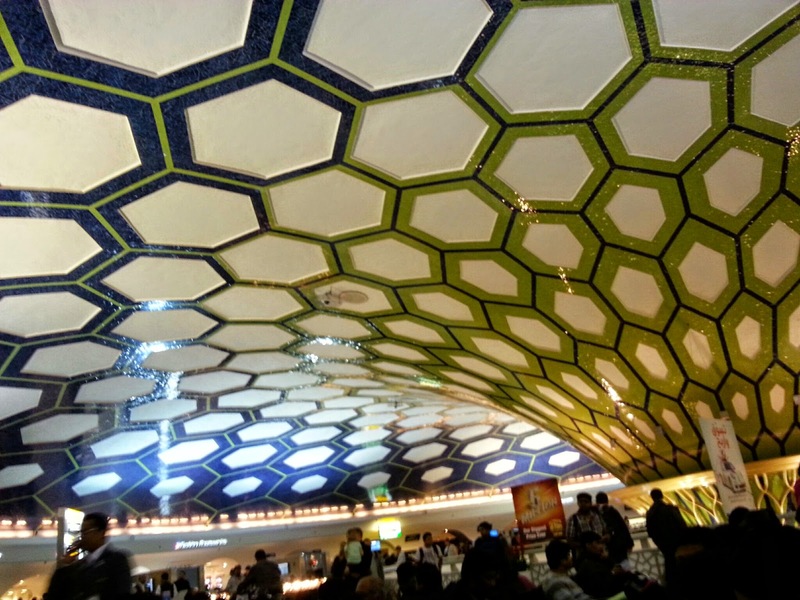 Abu Dhabi is one of the few airports in the region that has US Customs and Immigration preclearence. So all formalities are completed in Abu Dhabi and our arrival in DC will be like a domestic flight. Look for my next post on the return trip.